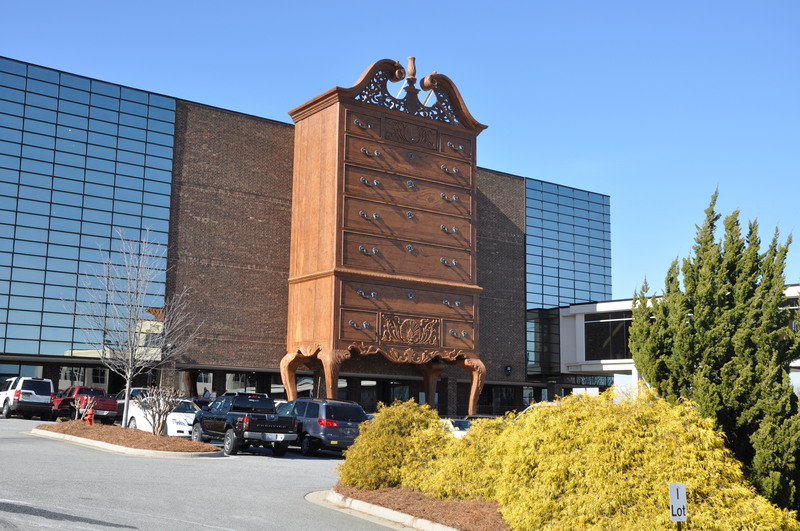 When I first saw this building I thought that each drawer was a floor, and puzzled over what furniture would be considered to be ‘top drawer’ and what was tucked away in the bottom drawer, until I found out that Furnitureland South in Jamestown NC USA is more of a sculpture attached to a building. What a great advertisement for the home furnishings is sells though. Directions not needed – just look for the very tallboy – you can’t miss it – 85 foot high! Dream Buildings that are just that – Dreams! 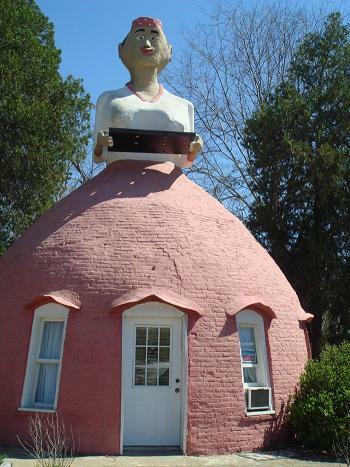 There’s some strange buildings in this world. Buildings made of salvage, buildings encrusted with shells, buildings that just cheer you up and make you think what great fun it would be to live in. 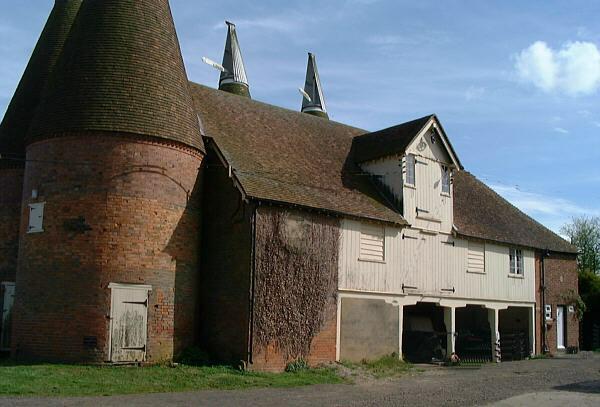 I have always thought that it would be fantastic to live in an Oast House; these are the houses usuallyseen in Kent and Sussex. They were built to dry the hops to brew beer, but are so fairytale like as well as airy and practical! 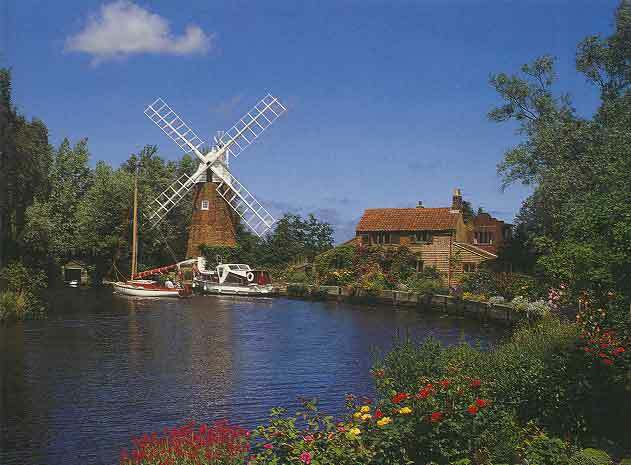 Or perhaps a windmill! 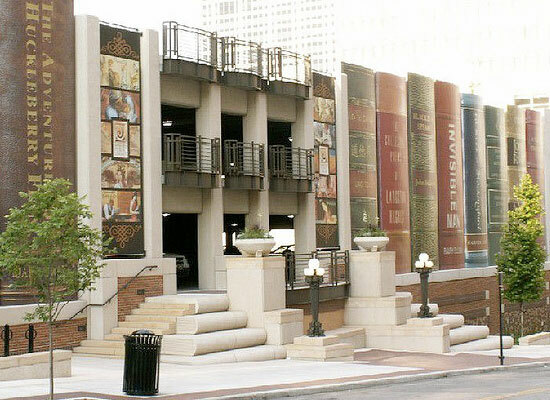 There’s something so romantic about these building. The noise of the sails: the grinding of the corn, – just constant continuity. Surely this must count as a most lucupletative* way of life? 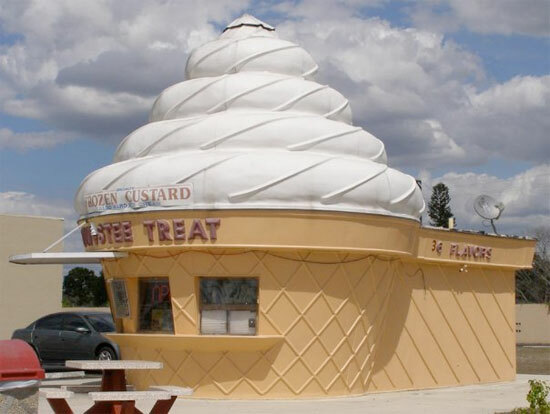 The first picture came from THIS website: there’s some real wacky buildings on there! 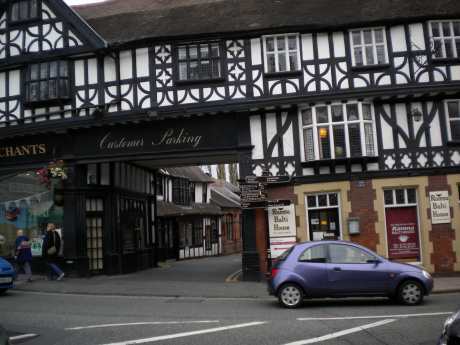 Continuing my post about our recent visit to the ancient market town of Shrewsbury, Salop…. 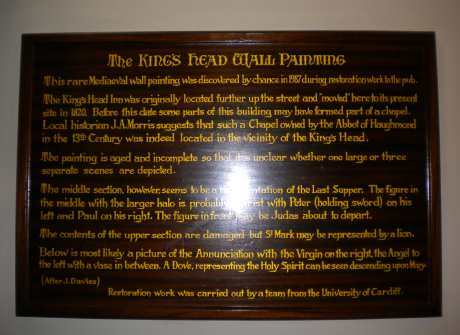 The Kings Head pub contains an ancient wall painting. This was uncovered during renovations. 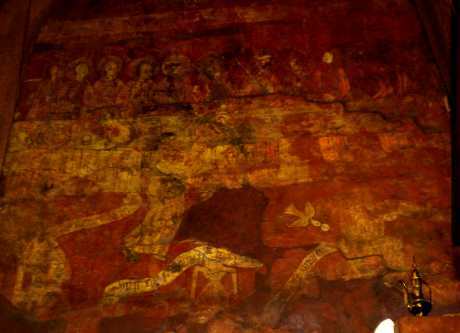 It shows what looks like the Last Supper. 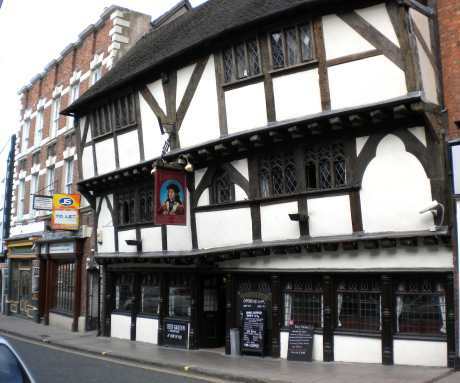 The original Kings Head was further up the street. 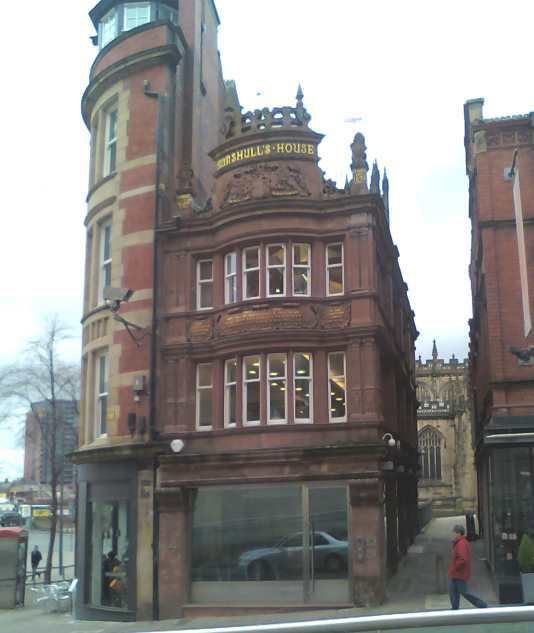 This pub may be on the site of an old chapel. Unfortunately the pictures of the wall painting didn’t come out very well…. 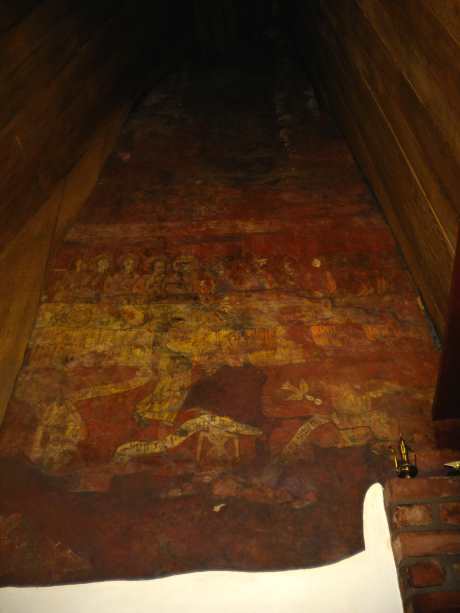 As you can see, it was extremely difficult to get a complete picture of the painting as it went right into what looked like an old chimney or recess, thereby making it tricky to get the whole of it in. You can just about make it out. Considering how old the painting is, the colours are remarkable though. 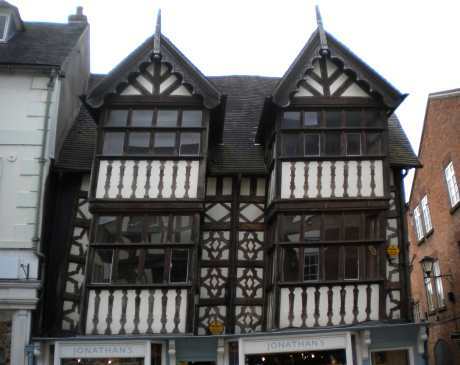 So much is made of the city of York, and especially the Shambles, – yet here is a whole town of wonderful buildings, streets that rise and meander, winding alleyways, each twist and turn reveals another architectural delight! We found lots of streets and alleys and passageways, tiny squares, hidden pubs. Shrewsbury is a town full of surprises! 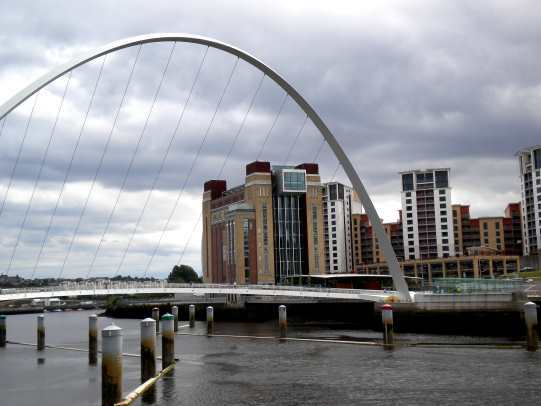 Continuing with our brief Newcastle visit, we were entranced by this city and amazed at the variety of architecture which sits happily enough with the contemporary buildings. 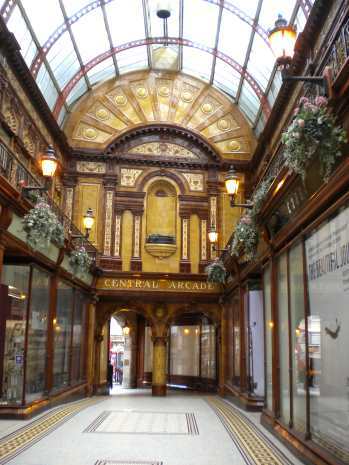 Beautiful Central Arcade is Edwardian, built in 1906 and highly decorated. 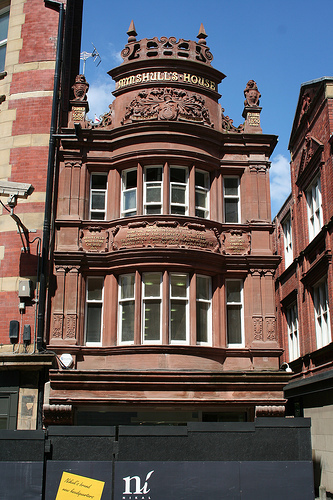 It is situated between Grainger and Grey Street. 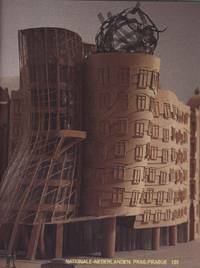 The Nationale Nederlanden or The Dancing building or Fred and Ginger or the Rasin are all names for one of my favorite buildings: the architect is Frank Gehry b. Poland 1929. 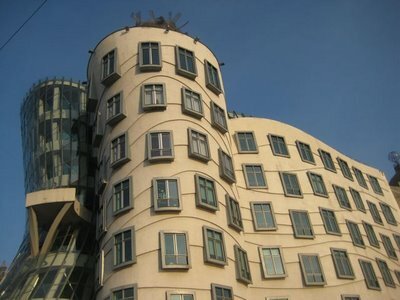 The building is in Prague, and I was lucky enough to see it (albeit only from a distance). 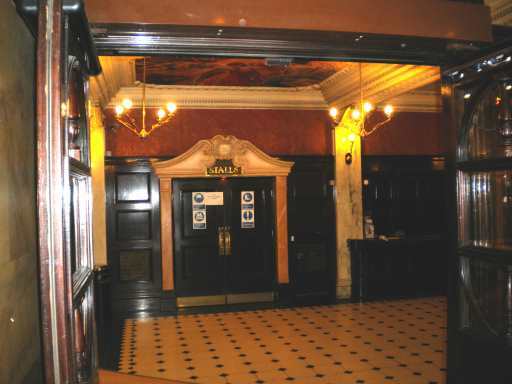 The building has been likened to the movements of a pair of dancers (Fred Astaire and Ginger Rodgers). 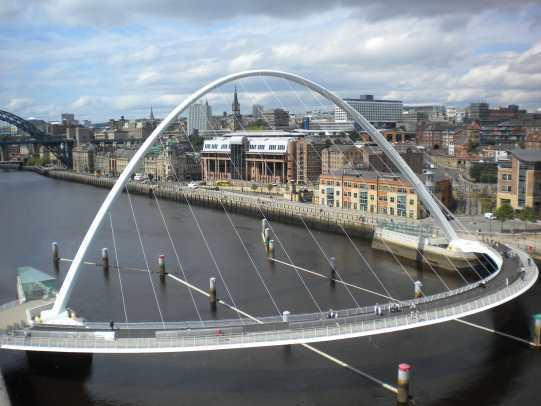 Indeed, the building does have a kind of playful movement to it: the windows, placed at different levels, seem to bounce! 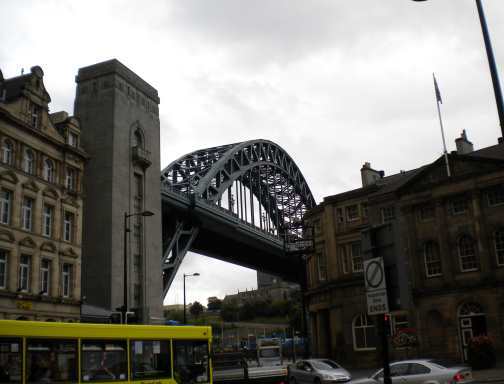 It’s amazing the amount of interesting buildings we pass each day of our life. 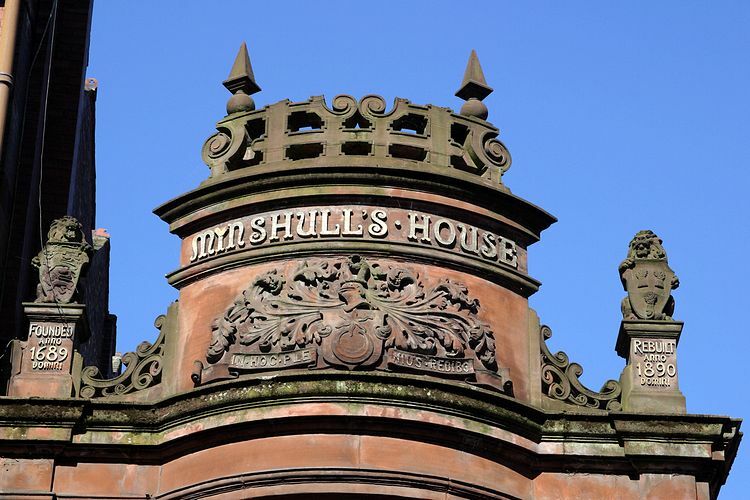 I am fascinated by this building – Mynshull House, on Catheaton St Manchester City centre. Puritan Thomas Mynshull, a 17th century chemist and druggist bequeathed money earned through the two houses that formerly stood on this spot, to be spent on apprencticing healthy local boys to respectable trades. 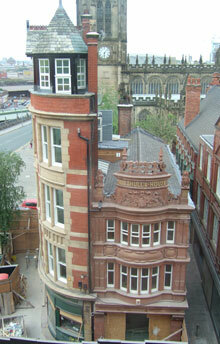 It was rebuilt in 1890 with lots of fancy corbels and bits of sculpture and is Grade 11 Listed. My favorite bit is the writing on the front.